Yet another project dumped by Third Rail Releasing, the Weinstein Company subsidiary that previously gave us – very few of us, actually – Killshot and Outlander, The Janky Promoters opened last Friday on fewer than two dozen screens nationwide. 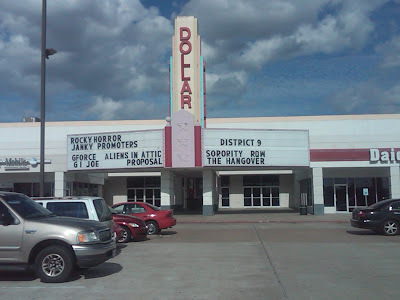 In Houston, it opened... well, to be entirely accurate, in the far-flung suburb of Webster, at a $2-a-ticket second-run multiplex tucked into a strip shopping center. Even there, however, a handful of Ice Cube fans showed up on a rainy Tuesday evening to see the movie. A small handful, to be sure, but a handful nonetheless. Good for us: It was, truly, a bonding experience. You can read my Variety review of The Janky Promoters here. So you immediately rushed out to see it for yourself, right? From Martin Scorsese: Scary stuff, kids! But what can he do for an encore? Are you ready for some Country?